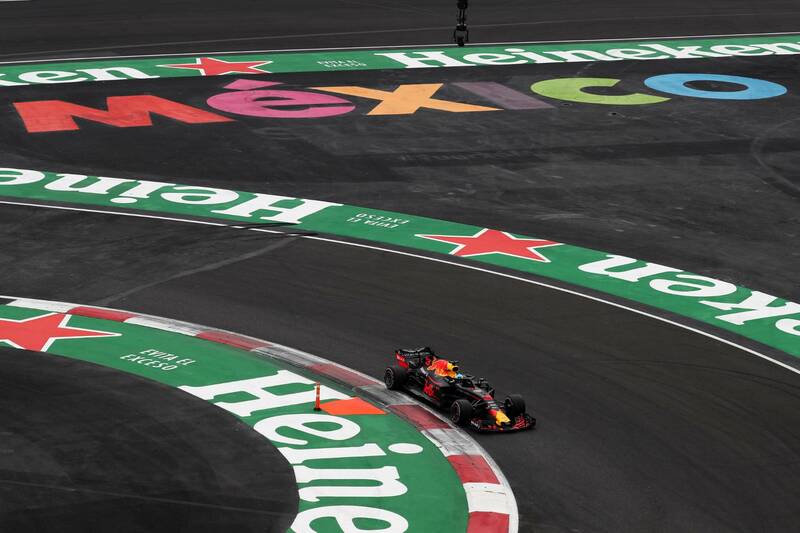 A last-gasp lap from Daniel Ricciardo saw him not only beat Max Verstappen to pole in Mexico, but also all but end the Dutchman's hopes of another F1 record. When Max Verstappen burst onto the scene in Formula 1 at the tender age of 17 back in 2015, he looked poised to tear up the record books and set new benchmarks within the sport’s history. He became F1’s youngest points scorer in just his second race, having become the youngest to ever start a grand prix on debut in Australia (two records he will likely never lose due to the new ruling on driver age). After his shock promotion to Red Bull four races into the 2016 season, he duly became F1’s youngest race leader, race winner and podium finisher all in one fell swoop on debut for the team, and then became the youngest driver to record the fastest lap at a race in the wet Brazilian Grand Prix later that year. But the one record that eluded him was accolade of being F1’s youngest pole-sitter. He had plenty of time on his side, it seemed, with the existing record held by Sebastian Vettel of 21 years and 72 days being over two-and-a-half years off upon the occasion of his first win. And yet on Saturday in Mexico, it appeared to slip away from his grasp altogether. Verstappen was on course to eclipse Vettel’s record by 45 days, having topped all three practice sessions, Q2, and the first runs in Q3. But then teammate Daniel Ricciardo came and spoiled the party in sensational fashion, securing his third career pole in the process. Red Bull had been in a league of its own throughout practice on Friday, yet overnight rain had resulted in far cooler conditions, the track temperature dropping by more than 15ºC. It meant the engine concerns Mercedes and Ferrari had in practice weren’t so severe, allowing both to get within striking range of both Red Bull drivers. At one stage, it looked as though Sebastian Vettel may have been able to breathe an ounce of life into his fading title hopes, with his initial benchmark of 1m14.970s seeming hard to beat. Verstappen was two-tenths down in the first sector, with Ricciardo a further two behind. Had the Red Bulls dropped out of the fight? Far from. Ferrari’s superior power explained the time gain, with the nimble RB14 chasing clawing all of the deficit back through the second and third sectors, in both of which Verstappen gained two-tenths, giving him an edge of 0.185 seconds over Vettel after the first runs. Ricciardo, meanwhile, was down in fourth, unable to recover all of the time lost in the opening sector. Ricciardo went back to the garage and regrouped, knowing he had to deliver a big run to join Verstappen on the front row of the grid. The 0.245-second gap to his teammate was big given the short Mexico lap, but certainly recoverable. Improvements were not easy to find on the final runs. Vettel went slower in all three sectors, while Verstappen lost two crucial tenths in the last sector, opening the door for Ricciardo. He delivered a personal best in Sector 1 (still four-tenths down on Vettel, mind) before going purple in Sector 2 and Sector 3, adding up to a lap that was a slender 0.026 seconds faster than Verstappen’s. Pole position belonged to the Honey Badger. Ricciardo has made no secret of his frustration over his recent run of bad luck, having not had a completely clean race weekend until before Monaco (where, even en route to victory, he was nursing an issue on his car). It came as little surprise to hear the release of emotion over team radio when he found out pole was his, the Australian yelling over and over again into his helmet. “I knew it was there somewhere,” Ricciardo said upon jumping out of the car, adrenaline still pumping as he tried to catch his breath. Major nutsacks aside, the result was significant for Ricciardo in the context of his season-long battle against Verstappen. Ricciardo’s rotten luck has left him 45 points behind his teammate in the drivers’ standings, yet his great strength through 2017 - qualifying - had disappeared. Heading to Mexico, the last time Ricciardo had outqualified his teammate was when he took pole in Monaco; what a time for things to change. Verstappen’s engineer was quick to placate him over team radio when informing him of the final result: “P2, pipped at the last. I know it ain’t what you wanted, you’ve been solid all weekend. Part two tomorrow.” The Dutchman did not even try to hide his frustration, though, clattering into the second-place marker board on the starting grid before hauling himself out of his car. “The whole qualifying was crap,” Verstappen said. “Again, the same problems as FP2. Engine braking not like I want to, just rear-locking the car. We tried to make the best of it. “I thought it was going to be enough with the problems we had but it’s still good to be second, so we’ll see tomorrow. “I had a lot of rear locking, on the down-shifting and when I come off throttle. Somehow the behaviour was not correct. So we couldn't do anything throughout qualifying, so I just had to lock a lot of tools, go forward on the brake balance to try and stabilise the whole car. The Red Bull car was not working to Verstappen’s liking, similar to how it wasn’t in Singapore, where he still managed to qualify and finish second. Curiously though, he hadn’t made mention of these issues after FP2 on Friday, when he finished fastest despite a late hydraulic issue sidelining him. The record is not something Verstappen will likely have been paying much attention to, but while he has 45 days to still beat Vettel, his best chance has passed. 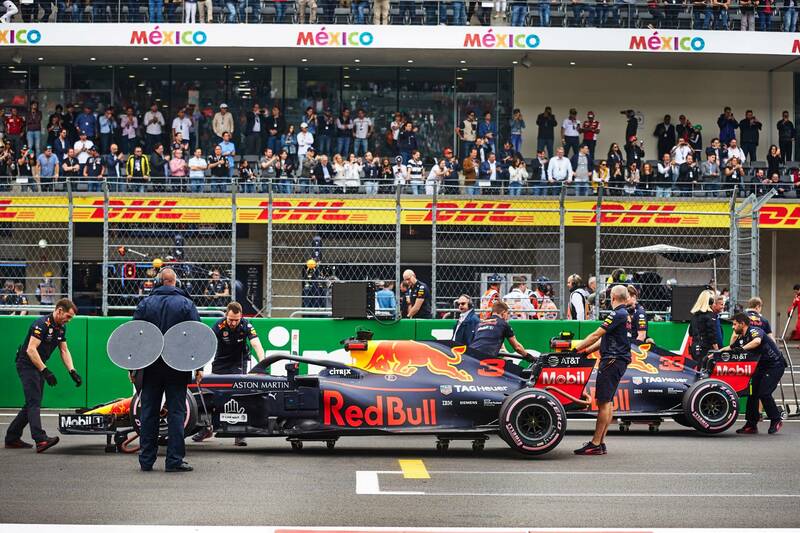 Neither Brazil nor Abu Dhabi will suit Red Bull to the extent Mexico has, likely resulting in a return to the Ferrari/Mercedes dominance we’ve seen on Saturdays over the past few years. The fact Verstappen didn’t get the chance to beat Vettel’s record is more a case of being in the wrong place at the wrong time. The window for Red Bull to be quickest on Saturday has been narrow, with Ricciardo’s pole being only his third in F1 (and the third for Red Bull since the start of the V6 hybrid era!). The team has had so few opportunities to take pole - but each time it has, Ricciardo has been the man to capitalise.